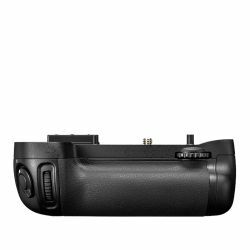 The Nikon MB-D15 Battery Grip is designed for the Nikon D7100 DSLR camera. 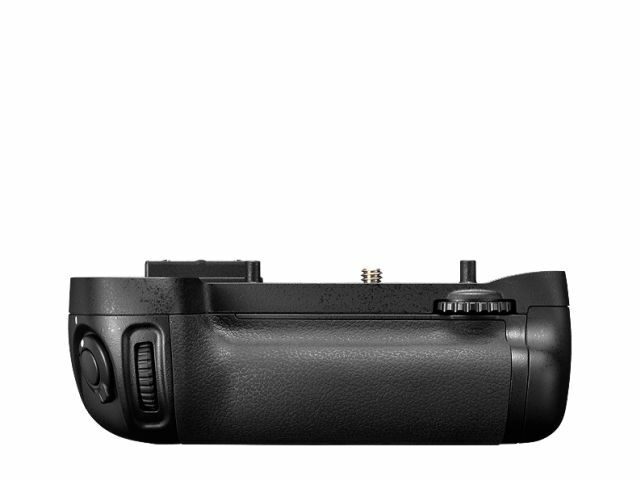 It enables seamless switching between power sources, and is equipped with a shutter release button, AE/AF lock button, multi selector, and main and sub-command dials for improved operation when taking photographs with the camera vertically orientated. The MB-D15 grip is powered by 1 or 2 Nikon EN-EL15 batteries or six Ni-MH/lithium AA-size batteries. To use the MB-D15 with AA batteries, use the MS-D14 AA Battery Holder. When using EN-EL15 batteries to power the MB-D15, use the MS-D14EN Battery Holder.